Revolutions these days seem two a penny. Mass strikes and protests did for Tunisia's dictator Ben Ali in what seemed like a few days. Egypt's Mubarak held on for longer, but as the mass of people in Cairo's Tahrir Square refused to give up in the face of the state's repressive force and strikes broke out across the country, even he couldn't remain in power. As I write this, Libya's Colonel Gadaffi appears to only have the most brutal of methods left to secure his position. The authors of this collection of essay's published in 2009 are all political activists, if not revolutionary socialists. But they cannot have foreseen the events that have shaken the Middle East. The book though, is not dated by recent events. 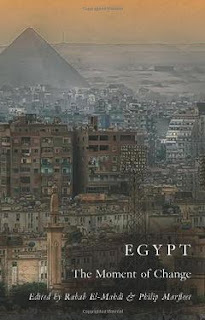 If anything it is even more relevant and I would argue, it is a crucial read for all those trying to understand the Egypt Revolution. Revolution is a process - and what happens is dependent on what has gone before. Egypt: the Moment of Change is about what has gone before. Each chapter of the book looks at a particular aspect of Egypt's history and political/economic situation. All of them come together to give a unique picture of why the revolution broke out and who the major forces are. Egypt as a society is dominated by one key economic factor - the continued attempts to open up the economy to the free market. Pushed, over the past two decades by a variety of "economic advisers", who mostly hailed from Washington, the Egyptian state has been quick to sell off assets - state companies, land and so on, to outside investors. Such profiteers have helped drive up the cost of living for ordinary people, making the very richer even richer, and the majority of the people poorer. Here is the contradiction that is so visible to the visitor - high security compounds and shopping malls - which allow in the rich, but deny access to the poor. It's why Egypt has experienced a variety of strikes and protests over the years. The corruption, the rising price of food, lack of access to jobs and drinking water combine to create a society bubbling over with indignation. Various forces have sought to push this process forward and hold it back. The Trade Union movement up until 2011 was very much one of state unions. These existed to close down workers action, prevent strikes and form deals with the bosses. Union officials were little more than hired functionaries of the state, and many did very well out of this relationship. Various democracy organisations have exploded onto the streets over the years. The Kifaya movement (meaning Enough) in 2004 did a lot to prove the state was not all powerful. Many brave men and women suffered indignation, brutality, torture and sexual assault because they dared to call for change. The chapter on these movements by Rabab El-Mahdi is particularly interesting because it shows how much the global movement against the Iraq War and in support of the Palestinian people helped to encourage things. But economic factors aren't the only reason for this uprising. This repressive state, with its allegiance to the US and it's failure to stand up against oppression in the wider Middle East, in particular the question of the Palestinians and the US War on Terror, has been part of generating wider discontent and radical ideas. The repression that Mubarak's state forces imposed on those prepared to stand up for something different is horrific. But it certainly wasn't the result of a few rotten apples. Aida Seif El-Dawla's chapter on state repression puts torture as an endemic and central part of the repressive process - on that exists and is supported at every level. Combined with the huge amounts of corruption amongst state functionaries and this leads to enormous brutality, often with little or no evidence. But this state force effectively melted away in Tahrir Square. The police proved ineffectual at stopping a real mass movement. The army, itself a bloated and influential body, swollen on US "aid" dollars, were also unable to make a difference. But this must in part be due to the close links between a mass conscript army and the ordinary people of Egypt. The struggles for land, against repressive taxation and corrupt landlords, the mass strikes that have shaken Egypt over the last five years have a common root. Those who argue today that Mubarak's fall was simply to do with the use of twitter or facebook, misunderstand the social processes that developed over years, involving many different actors, which culminated in the overthrow of the dictator. Mubarak's downfall is not the end of the story. The Egyptian Revolution has a longer road to travel. The struggle for justice and democracy, or access to water and decent food, for proper wages and the right to organise at work, will not be won by dispensation from a benevolent army council - it will have to be fought for. The Egyptian people have shown over the years that they are up to this task. We can wish them well and be inspired for our own struggles for justice. This short book is an invaluable resource for all those wanting to get to the bottom of the process. It comes highly recommended and should be required reading. I hope they write a follow-up which details the revolutionary year of 2011. A more detailed review from Socialist Review is here. Socialist Worker (UK) continues to have unrivalled coverage and analysis from Egypt and the wider Middle Eastern struggles. Editor Judith Orr's eyewitness accounts were inspirational. Further analysis pieces will no doubt follow, though this article by Alex Callinicos on whether the revolution was a coup or not, is particularly useful. For more on the mass strike movement prior to 2011 this article from the IS Journal by one of the contributors to Egypt: The Moment of Change, is very useful. An interview with an Egyptian socialist one the strike movement from 2007 is also interesting, in particular because it looks briefly at the relationship between socialists and the Muslim Brotherhood in various struggles. Capitalism is very adept at taking old traditions, remoulding and repackaging (and occasionally reinventing) them in its own interests. These interests are usual those of short term profit, but they can also be in the interest of propaganda, or the creation of ideas of nation or racial superiority. One of the things that has been adapted and distorted by modern society are the games that communities have played. From traditional games played in working class communities or on village greens, multi-billion pound international sports have been created. 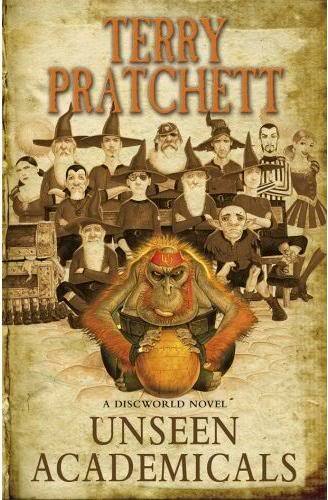 This is perhaps most obvious with football and in his latest Discworld novel, Terry Pratchett satirises the process extremely well, adding in his usual comic mix of magic and chaos. Pratchett has the eye for a good opportunity for satire. In my opinion football is worthy of this, not least because of the way that it is already fairly funny. It's million pound players, who seem to have little of worth to say, the entourage of glamorous wives who follow these players around and gather such bizarre press attention. The strange customs of the fans and the odd little traditions. 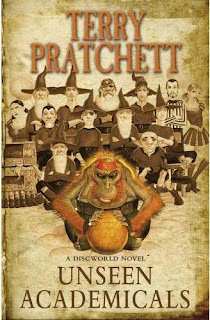 All of these are stretched and distorted by Pratchett. In the novel, football is a mass participatory sport, enjoyed mostly for the opportunities for fighting between the groups of fans. Huge crowds swell the streets, there are limited rules to the actual game and the state (via the medium of Ankh-Morpork's Watchmen) have little or no control on match-days. Games are the occasion for much anarchy and revelry. Much like the original football "matches" here in Britain. Such anarchy needs to be brought under control and the city's leader Lord Vetinari does what rulers have done through the ages. He brings the game under his wing, offers it reward and respectability and fashions order from chaos. No matter that the games has lost its real roots, it is now a method of control and profit. Pratchett does all this well. By setting up the comic figures of the city's Wizards as a new football team the story has some roots. This unlikely idea is designed to attract those readers who already have pictured the new players as over-weight, lazy academics. But this need to be in the know may well confuse newer readers. Here again is a criticism I've previously made of Pratchett's more recent novels - because they come across as formulaic, they aren't as amusing as they used to be. There are fewer laugh out loud moments in Unseen Academicals. The characters all have their predetermined parts to play, and us regular readers will come to expect them to have their walk on parts sooner or later. There are a host of new individuals, but they seem to flit onto the stage and leave without leaving us with much. Pratchett is a brilliant writer. We'll all continue to read his books even though they are now weaker than they were, not simply out of loyalty but also out of genuine love. But there does seem to be something increasingly missing from them. 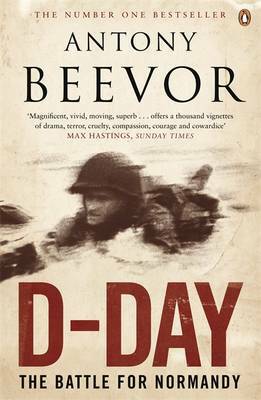 Antony Beevor's latest book is an excellent addition to his earlier works, particular those on the battles for Stalingrad and Berlin. In some ways for this reader, coming from Britain, it's a book that is closer to home. After all this was a battle fought by Allied soldiers who were either British or invading the continent from Britain. The battles themselves are described in gruesome detail, as is the nature with Beevor's writing. He doesn't shirk from the horrors of battle, nor does he fall into the trap of describing a generic "bad" enemy and "good" allies. So we hear about the killing of POWs by the Germans and by the British, Canadian, American and other allied forces. Of course, Beevor is quick to point out that there was a particular brutal response from some of the German forces - the massacres of entire villages in response to resistance fighters for instance - by the SS in particular. At the top of the story is the relationships between the various allied leaders. Here the differing styles and emphasises has the most impact. It's clear that there were real personal clashes between say the Americans and British had a lasting impact. The British General Montgomery comes across as a real barrier to the further development of the front in the crucial weeks after the invasion. Beevor does point out that Montgomery took on the hardest and most entrenched enemy forces, and the contribution of the British certainly helped the Americans elsewhere. But there is no doubt that there is a lasting anti-Montgomery prejudice from the official American military histories. The liberation of Paris and the particular role of the insurrectionary resistance fighters in the capital forms the end of the chapter. The story of the particular factions involved in this is fascinating, as is the clear fear from the allied leaders of a Communist inspired revolutionary take over. Here Beevor is astute enough to also argue that this was a fear for Stalin, who had now moved so far from the politics of international revolution that he had no interest in such an outcome on the Western Front. Beevor's conclusion is the invasion of Normandy was a crucial point in World War Two. Not particularly because it changed the outcome of the conflict - that had already been decided outside Stalingrad, but because it allowed the United States in particular, and to a much lesser extent Britain and France a voice in the post-war carve up of Europe. This is an important argument, challenging the more common idea that it was the West that won the war. It is because he makes such realistic appraisals, despite their likely unpopularity amongst sections of his readership, which makes Antony Beevor such an excellent military historian. Eleanor Burke Leacock's collection of essays, Myths of Male Dominance (Collected Articles on Women Cross-Culturally) is one of the most important works for those who argue that the way we live our lives today is not the natural order of things. Leacock's articles are a powerful defence of the Marxist notion of "Primitive Communism" - the idea that in humanity's past, our societies were egalitarian, private property was unknown in a general sense and class differences nonexistent. Most interestingly, this means that there were also differences in the way that men and women related - monogamy has not always been the natural way of doing things, men have not always been dominant in relationships or society, and different attitudes to sexuality have been far more common that most commentators would have us believe. Leacock's own research was centred on a Canadian tribe called the Montagnais-Naskapi. These were people who, in their hunter-gather past had lived in a "primitive communist" society. What is almost unique about them, is that this lifestyle had been extremely well documented by the Europeans who encountered them. The Montagnais had lived by collected the fruit and berries of their local area, as well as hunting the plentiful game at different times of the year. European traders arrived in the 1600s and began to trade goods, with the Montagnais in exchange for vast quantities of furs - beaver and the like. This caused a fundamental transformation of Montagnais life. From a society were private property was almost unknown, were decision making was a collective process and status in society was not based on property or any form of economic power, the Montagnais were transformed into a people were private property (in this case the animal traps and the associated areas of rivers / land) formed part of their lives. This introduction of private property changed all the other relationships in their society, as did the cynical and regular interference of Jesuit missionaries. The Jesuits who documented the lives of the indigenous people, also attempted to introduce more European things - like leaders, monogamy, physical beating of children and so on. Prompting one Montagnais to say "You Jesuit's love only your own children, we love all of them". By the time Leacock was able to live with the Montagnais, a surprising amount of their earlier social relations still existed. She describes how hard she found it to understand the collective decision making process as someone who has only lived in a society with leaders and social hierarchies. These experiences and the documentary evidence of a people with a completely different set of relations of productions to those we see in the vast majority of the world today shape most essays in this book. Leacock looks at the role of women in Montagnais society - and similar societies around the world, family relations and so on. She also look critically at the ideas of two of the thinkers who have most often dominated this form of discussion for the left - Lewis Morgan and Fredrich Engels. Collected here is her introduction to Lewis Morgan's classic book of anthropology - Ancient Society. The book itself informed Engels' own work (as well as Marx) in particular, The Origin of the Family, Private Property and the State. Leacock wrote a classic introduction to this as well, of which sadly only part is in here. Rather impressively, Leacock also includes articles and critical responses from other anthropologists - together with her reactions. This is of great interest, in part because she is a born polemicist, but also because it is fascinating to see her ideas tested, and passing the test. For anyone with an interest in ancient cultures, this is a fascinating book. However it should also be required reading for everyone who wants to argue, or dares to believe that the "natural" relationships that we experience under capitalism are anything but natural. Before anything else is said about this book, the author should be congratulated at the very least, for attempting this monumental task. Anyone trying to get to grips with almost 800 or so years of radical history has set themselves an enormous job. To cover everything, even in 551 pages would be almost impossible, to do what is covered justice would take a historian of some note. What is good about this book then, is the sense of rescuing a hidden history. The moments in Britain's past when men and women took it on themselves to attempt to change their world. Sometimes this was in small ways - local protests and uprisings. Sometimes they tried to overturn the whole world order. And we should learn this history - the story of the Peasant Revolt of 1381 has its lessons for today (don't trust the ruling class when they are forced to negotiate) for instance. To bring the stories of the English Revolution, the Levellers and the Diggers, the struggle for the vote, the battles for rights and justices is an important task. I hope that many people learn about these struggles from Vallance's book and take the time to delve deeper. That said, the book itself is an immense disappointment. In part this is because the book is so large in its scope. Important points of history often receive only the briefest of mentions (more on that later) and sometimes Vallance (as with his discussion on the English Revolution) sticks to a very mainstream retelling of the history. Another problem is the author's focus. All too often this radical history is a history of key figures or big names. I rarely felt I was hearing the voices of the ordinary people most affected by what was going on. That's not to say that people like Tom Paine, the Pankhurst's or the leading names of the Revolution aren't important. But moments of great radical change come because there are social forces moving, and they move because of other factors. Why did women want the vote? What made people join Cromwell's forces? How come people marched to Trafalgar Square to demand the right to assemble in the 1890s, but not 10 years before hand? To be fair, Vallance might say he wasn't writing a "People's History". That's a point, but by definition a radical history has as it's focus, changes to the system that are in the interests of the ordinary people at the bottom of society, rather than those at the top. But even so Vallance is selective in his choice of important radicals. William Morris gets a few pages, the Pankhurst's get whole chapters. King Alfred, rather bizarrely gets a good chunk. But there are strange omissions - George Lansbury gets a couple of oblique mentions, despite putting himself at the head of one of the largest radical revolts in recent history. John McLean gets a passing mention (Scotland is barely discussed) and Communist MPs like Phil Piratin or William Gallacher, who lead real mass movements, aren't discussed. Perhaps these references reflect my own orientation on the history of Britain as seen through the eyes of a Trotskyist. But what about such figures as Owain Glyndŵr or William Wallace who must surely fit into the broadest definition of radical. Even Gordon Brown is referrenced more times than William Wilberforce (a figure that most liberal historians would consider fairly radical - Wilberforce that is, not Brown). Actually it's a great crime that the entire struggle against Slavery is missing. Then there is the detail. It shold be said that the book gets worse the closer we get to contemporary times. The earliest chapters, particular those on the Peasants Revolt and the periods around the French Revolution are well written, though the chronic lack of references makes it difficult to learn more. The chapter on the English Revolution is very complex and difficult. If you don't know anything about this particular period, it is not a good place to start at all, painted as it is as a battle dominated by religious arguments. But because Vallance doesn't start from what's happening in wider society, but begins with the individuals at the head of movements he comes unstuck. The struggle for Women's liberation for him, is dominated by the arguments between the militants and the rest of the movement. He concludes that militant action fails to deliver and becomes a hindrance and ends up with a position that implicitly argues that the Suffragettes had to wait for a more friendly government to arrive. No to a point this is true, but what Vallance misses is that the radical militancy stemmed from a movement that had failed to mobilise the mass of working people into it's orbit. Had the working class movement used its powers to force change, then the battle would have been shorter. The tragedy of the Suffragette movement was that much of it was dominated by a Middle Class leadership who, while brave enough to go to jail and risk their lives, were terrified of wider social unrest that could have forced the governments to listen. Breaking windows gets media coverage, but it doesn't frighten the forces of the state and the descent by sections of the movement into even more radical acts reflects the frustration of this. Vallance also fails to grasp the wider situation. For him, the involvement of women in the workforce during the First World War was something that came and went, with little lasting impact. He argues that most of the jobs they did were ones that they had before the war, which I don't think stands up to scrutiny (munitions work?) Yet he also misses the way that this changed perceptions of women's roles and their perceptions of themselves - once lots of people had seen women driving buses then they weren't easily going to be able to put them back in their pre-war boxes. If this wasn't the case, why did so much effort have to be put into forcing women back into their pre-war roles. The creation of women's Trade Unions and involvement of women in the wider union movement on an unprecedented scale certainly changed the working class movement. So by looking superficially, Vallance fails to grasp the real changes in society that were happening. After the Suffragettes, Vallance has a chapter on the fight against Fascism (which devotes barely 2 pages to the question of Cable Street and the battles against the British Union of Fascists). He doesn't explain why fascism failed in Britain, but was successful elsewhere. Even if you don't believe (as he doesn't) that Cable Street was particularly important, surely the debate deserves more than he offers here. There is nothing here about the Second World War, or even the post-war battles against fascists and the later NF. But radical history apparently stops for Vallance with World War Two, but even his post 1900 history is severely wanting. The 1926 General Strike gets less than one page. The Great Unrest is by-passed, as is Red Clydeside and the 1919 strikes ("Britain on the Brink of Revolution"). The Russian Revolution apparently had no impact here - the Communist Party being irrelevant. Other missing moments are New Unionism (the Match girls get a couple of paragraphs) and George Lansbury's 1921 refusal to impose Tory economic policies on the poorest sections of British society. I could go on. In fact I will, because students of more recent radical history will be amazed that the mass movements against Apartheid, Racism and Fascism in the 1970s are missing, the union militancy that did for Edward Heath, the Miners Strike, CND, Wapping, the Poll Tax and finally the Stop the War movement of the last decade. Actually to be fair, Vallance salutes the anti-Iraq war movement in his last paragraph, though he doesn't name it. But he ignores the fact that it also opposed war in Afghanistan. Now I might not expect Vallance to write a work of history that keen readers of Socialist Worker would appreciate, but to miss out the Miner's Strike and CND in a work on the radical history of Britain, is a bizarre error. This is a problem, because arguably the struggles of the 20th Century have shaped our culture, politics and social structures far more than those of much earlier times. The problem is of course, the one that has beset liberals for decades - the question of the Labour Party. Ultimately this is a history that is about the struggle to get the Labour Party to office, through the enfranchisement of the poorest in society. This means of course, that criticism of Labour is frowned upon and more recent radicalism is brushed under the carpet because it might show Labour in a worse light. Thus the culmination of radical history for Vallance is the building up of the Labour party into a party fit to govern. Towards the end of his book he explicitly says this, arguing that few in Britain's radical history wanted to level out things. In other words, British radicalism is a different beast to that of France or Russia - it is not about building a new world, but creating a nice capitalism, overseen by a friendly government. By concentrating more on the earliest period of radical history (important though they are) you end up with a book that will be appreciated by Gordon Brown and Ed Miliband. You can look left wing and radical by informing the masses about Wat Tyler and Tom Paine. But don't let on about how Labour failed the miners, or how the TUC has failed the organised working classes time and again. To do that, might have ramifications today, and we can't risk the next General Election can we? If you read this book and want to learn more about various points of radical history mentioned (or not) by Edward Vallance, here's a short list of books I'd recommend. Some long, some short. Most of them I've reviewed elsewhere on this 'blog. Peasants Revolt 1381 - Mark O'Brien - When Adam Delved and Eve Span - reviewed here. The Struggle for the vote - Paul Foot - The Vote - reviewed here. Lansbury - Noreen Branson - Poplarism 1919 - 1925; George Lansbury and the Councillors' Revolt - reviewed here. The radical East-End - William Fishman - East End Jewish Radicals - reviewed here. Women's Liberation - Sheila Rowbotham - Hidden from History - reviewed here. General Strike 1926 - Cliff & Gluckstein - Marxism and the Trade Union struggle - reviewed here. Swing Riots - Hobsbawm & Rude - Captain Swing. World War II - Angus Calder - The People's War - reviewed here. The Working Class - E.P. Thompson - The Making of the English Working Class - reviewed here. 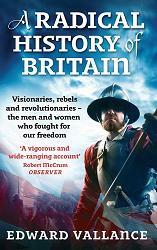 The English Revolution - Diane Purkiss - People's History of English Civil War - reviewed here. The Labour Party - Cliff & Gluckstein - A Marxist History of the Labour Party - reviewed here. 1919 - Chanie Rosenberg - Britain on the Brink of Revolution.